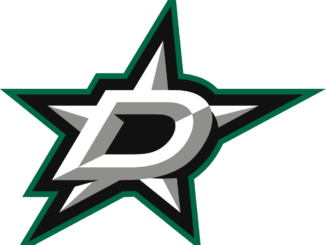 As we enter the month of the December, the Dallas Stars continue to search for answers on why they continue to struggle and how they can put a stop to it. Last Tuesday night, the problems continued to persist at the Toronto Maple Leafs. With barely a half a minute into the game, Maple Leafs forward Tyler Bozak scored to put his team up, 1-0, after a sloppy turnover by the Stars in their own zone. It did not get better after that. The Maple Leafs were able to score two more before the Stars were able to get on the score sheet thanks to forward Jason Spezza’s goal in the second period. It was not enough to get the Stars going as Toronto won, 5-3. It is hard to win in this league, especially on the road when you spot the other team a two-goal lead. Turnovers and bad special teams can bury you in games and that is what happened to the Stars. Unfortunately, the same problems would continue in Detroit against the Red Wings last Thursday night. 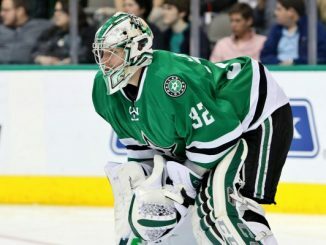 In net for the Stars was backup goalie Jussi Rynnas, who replaced Anders Lindback to see if he can be of any significance. He was not and the guys in front of him did not help at all as the Red Wings won, 5-2. That is four straight games now that the Stars have given up five goals. Stars head coach Lindy Ruff continues to shuffle lines and defense pairings to find answers to any sort of consistency. At the same time, it also causes inconsistent play because it is hard for players to find any chemistry with one another. Despite that, Ruff is trying to find what works that will get his team to start winning again. They tried a different approach than they normally do last Friday after coming home from the three-game road trip. It looked like that approach worked as the Stars snapped a four-game losing streak beating the Canadiens, 4-1. Tyler Seguin was the star in this one as he had two goals and an assist. He is leading the league in goal scoring at 21 and is tied for first in points at 35. After the game, Ruff was pleased about the performance. The Stars next game will be Tuesday night at home against the Winnipeg Jets. They will enjoy three days off before the New Jersey Devils come to town on Saturday night.